The summer of 2018 saw devastating fires blazing all over the world. Nearly 100 people died in raging fires across the southern coast of Greece. More than 50 wildfires scorched Sweden where the temperature north of the Arctic Circle soared into the 90’s causing drought conditions. Record breaking temperatures across the globe from Montreal to Great Britain topped 98 degrees this summer. 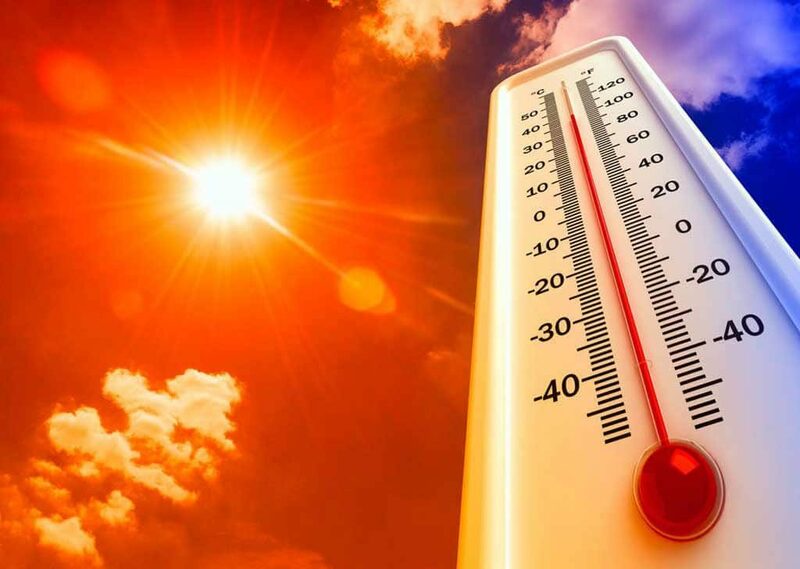 In Japan, 22,000 people were hospitalized when temps climbed to 106 degrees. And, in normally cool Oslo, the thermometer climbed to 86 degrees for 16 consecutive days. From Southern California and Arizona to India and Pakistan, withering heat reached a deadly 110 degrees that parched the environment. The most alarming news is the hottest temperature ever reliably recorded reached 124.3 degrees in Algeria this July. Fires, heat and drought of this scope and scale seem to be becoming the new normal. These extreme events point to a planet that is warming and perhaps faster than scientists have predicted. Although the effects of climate change may vary widely in different geographic regions, those areas already hardest hit with drought and arid conditions may be in the most critical need of clean drinking water. This crisis will only get worse as the earth’s population conceivably could grow exponentially in the next 50 years and adequate supplies of water become even more scarce. In addition to supplying all these thirsty people with clean water, the chilling paradox is the increased demand on already-scarce resources means there is a greater chance that existing water sources will become polluted by human waste, industrial toxins, and contaminated agricultural runoff. It is human nature to postpone change and sacrifice as long as possible. But it is clear that public service announcements warning residents to save water, take shorter showers, plant resilient gardens, and conserve, is not going to be enough to help avoid a global water shortage. Fortunately, scientists and researchers are working diligently to solve some very complex problems to provide innovative and sustainable clean water solutions for the future. Here are three cutting edge ideas for sustainable water supplies that just may help a warming world. Anaerobic or oxygen-averse bacteria to treat wastewater is back in vogue… after a billion years. When the earth was a toxic primordial goo, anaerobic bacteria thrived in the oxygen deprived world forming the first signs of life. 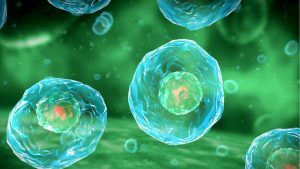 Environmental engineers at Stamford University are now bringing back these ancient microorganisms as a more cost-effective wastewater treatment process. Wastewater treatment plants that use aerobic bacteria must provide oxygen with huge and costly electrically powered blowers for these microorganisms to survive. Anaerobic bacteria treatment processes do not need oxygen and use considerably less energy, making the wastewater treatment process more economical to operate. In addition to saving money, engineers believe these anaerobes can filter household and industrial chemicals better than conventional treatment plants. Full-scale plants utilizing anaerobic bacteria may soon be capable of processing millions of gallons of wastewater per day into refreshing clean water. Desalination plants may not have been around as long as ancient bacteria, but this technology is not a new concept either. What is news however, is the increasing role desalination will have in the future. Israel’s Sorek desalination plant is the largest seawater reverse osmosis (SWRO) desalination plant in the world providing 627,000 cubic meters per day (m3/d) or the equivalent to about 166,000,000 gallons of water per day (gpd) to Israelis. Shawaikh Reverse Osmosis (RO) desalination plant in Saudi Arabia. Desalination plants which were notoriously expensive energy hogs have become less energy-intensive as technologies have improved. Using renewable energy, such as solar, wind and geothermal along with advanced technologies including thin-film nanocomposite membranes, captive deionization (most suitable for brackish water), forward osmosis, and metal–organic framework (MOF) biological cell membranes that requires very little water pressure, water desalination is becoming more efficient and cost effective. The new cutting-edge membranes can even filter out precious metals such as lithium used in batteries. 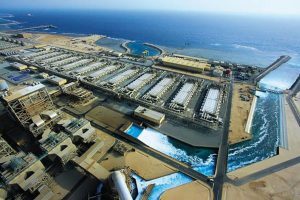 Saudi Arabia, the largest producer of desalinated water in the world with its 32 desalination plants and growing, will soon be producing a historic 5 million m3/d or the equivalent of about 1,321,000,000 gpd, a global record of desalinated water. Benefiting from this leading-edge technology, Cape Town South Africa may have averted a catastrophic “Day Zero” when the City’s first desalination plant went online, preventing a water doomsday for its residents.With the world’s oceans holding about 96.5 percent of all Earth’s water and with more innovation, desalination may prove to be this thirsty world’s salvation. Another old idea that is gaining favor is converting fog into drinking water. Super-sized moisture collection systems could allow people living in coastal or mountainous areas to convert fog into safe drinking water. Collection traps are made from a 3D mesh that can withstand high wind speeds, while still retaining and accumulating water in storage tanks. With a variety of sizes available, these fog systems can be used for individual needs or supplying water for entire villages. Super-sized fog nets can capture moisture in coastal or mountainous areas to convert fog into safe drinking water. 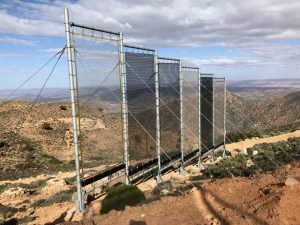 Combine this idea with giant Atmosphere Water Generators (AWG), which takes moisture or humidity directly out of the air and converts it into potable water. Even in the driest of lands, the air is loaded with water molecules and enough drinking water converted from AWG’s could provide communities with a continuous and sustainable source of clean water. On a large scale, the AWG units can be mounted on the roof-tops of commercial or residential buildings. When powered by renewable energy, these systems can create safe local drinking water efficiently and economically. 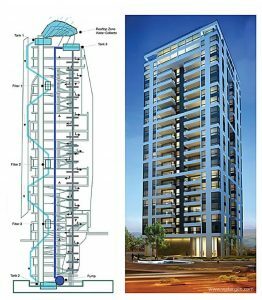 Water districts and municipalities managing these units, can provide as much as 55 m3 /d or about 14,500 gallons per day, enough to service each building independently with water. Large scale Atmosphere Water Generators can be installed on roof tops. Collected water from both fog collection systems or AWG’s may seem farfetched. But consider this, 80 percent of California’s water goes to irrigate farms and the other 20 percent of water use goes to urban use. Collected water from the air could be used to irrigate crops or other commercial watering needs. Water conservation and alternative technologies such as fog collection systems and AWG units can supplement our increasing demand for clean water and these ideas just might may make a difference. Combating climate change and managing our depleting water resources is a reality we can’t ignore. The devasting fires, drought and heat from 2018, is a reminder that our actions today may help avert a global catastrophe in the future. These innovative ideas and others still in development are one step forward to a more sustainable world.